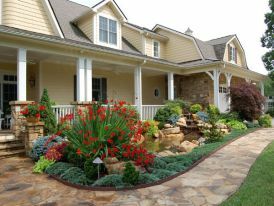 Advanced Landscaping has provided professional landscaping services in the Asheville area for over 35 years. Rick and his team will work with you to plan renovations or create an entirely new look. Enhance your exteriors with an Evergreen privacy border, flowering shrubs in a island bed, wooden retaining walls, or stone border and edging. 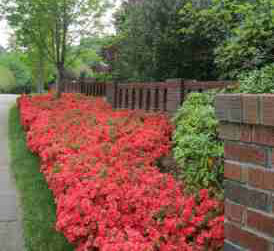 Establish a beautiful landscaped hillside with attractive groundcover for problem banks and sloping area. 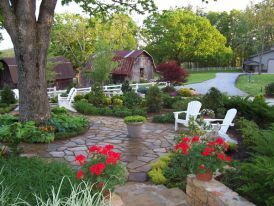 Install a new patio to complement a backyard or install a new pathway to improve a front yard. Create dog friendly areas with pleasing fencing. We provide the experience and expertise to undertake the largest or smallest project. Enhance your curb appeal, solve troublesome drainage problems and clean-up. What do our clients say? Please check our reviews on Angie’s list.